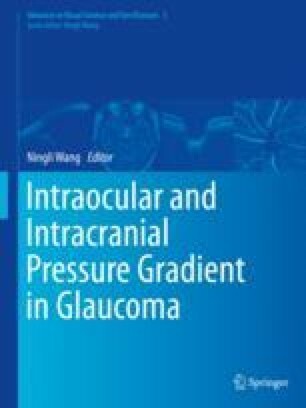 Idiopathic intracranial hypertension (IIH) is the disease with characteristics of higher intracranial pressure (ICP), but the pathogenic mechanism is still not clear. In general population the incidence is about 0.5–2 per 100,000 people per year [1–4]; however, in the obese women, it is around 12–20 per 100,000 people per year [1, 2, 5]. Its typical symptoms include headache, visual dysfunction, pulsatile tinnitus, and neck pain, and the vital one is the visual loss. As the visual acuity loss is highly variable, from mild to severity, and in general the process takes some time, which can cause delays in diagnosis and treatment, it could lead to considerable visual morbidity. The emblematic sign is the papilloedema, but this is not the only sign of IIH, and making diagnosis should exclude the other identifiable secondary causes such as intracranial tumor and hemorrhage. At present, the updated modified Dandy criteria  are usually considered the optimal diagnosis criteria. There are numerous therapeutic methods to treat IIH, but there is no consensus on the best method which is accepted by doctors who come from different departments involving ophthalmology, neurology, and neurosurgery.